– Henry James, The Portrait of a Lady. Oh tea, I Love You. Join us for endless pots of tea plus tasty Finger Sandwiches, freshly baked Scones & plenty of sweet summery treats including Custard Fruit Tartlets, Berry Cupcakes & Passionfruit White Chocolate YoYos. Let’s say a sweet goodbye to summer. Location: Palm Beach, after payment you will be emailed the exact location, yippee! Cost: $20 donation per person, all inclusive. 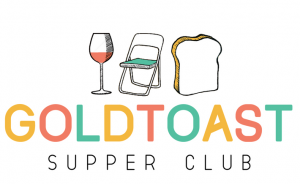 Booking & Payment: Please email us at goldtoast.supperclub@gmail.com to RSVP. Your booking will be finalised after payment is received via PayPal using the button below.